Reproduction of a classic Egyptian style ring featuring a hexagonal cut emerald set in gold. 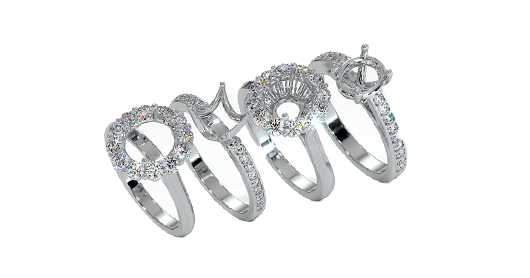 The earliest known source of emeralds was located in Egypt. 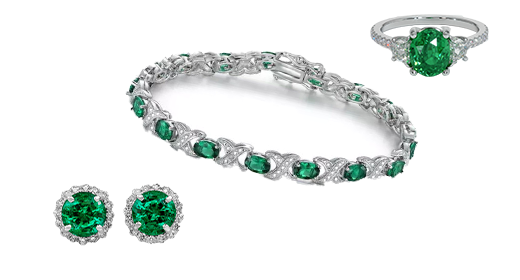 The famous Egyptian emerald mines, also known as Cleopatra’s emerald mines, were the world’s primary source of emeralds until significant deposits were discovered in the Americas in the 16th century. Egypt’s emerald region consists of two mining areas, Sikait and Zabara, which are located in about 40 square miles of inhospitable desert east of Aswan between the Nile and the Red Sea. 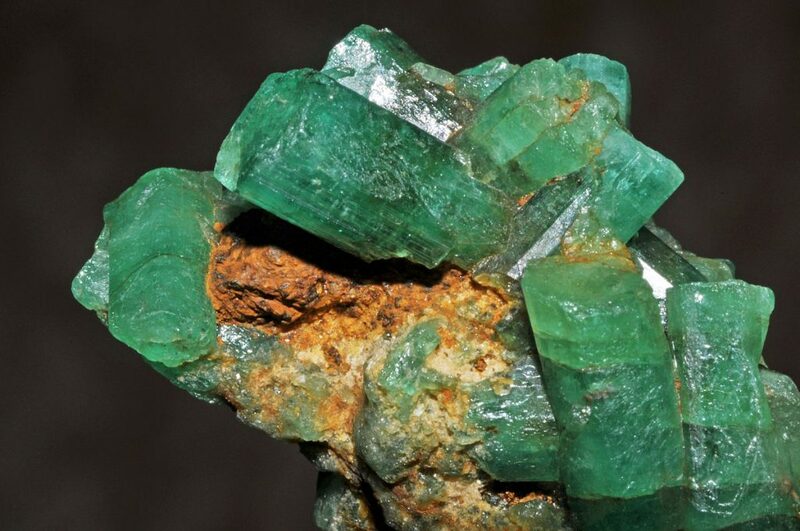 A great discovery of emerald crystals in a Colombian mine. Emeralds were mined in this area from at least 2000 B.C. and nearly all of the emeralds known to the ancients came from this source. 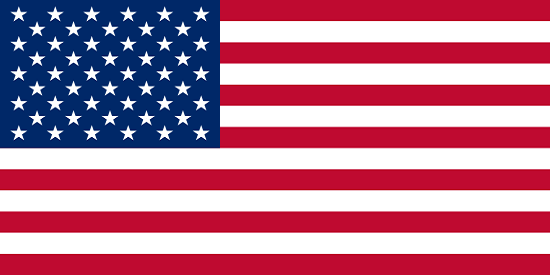 The location of the mines was lost during the Middle Ages, and not rediscovered until 1818. Although the mines are now depleted and largely abandoned, large numbers of emeralds were once found in mica schists of metamorphic origin. 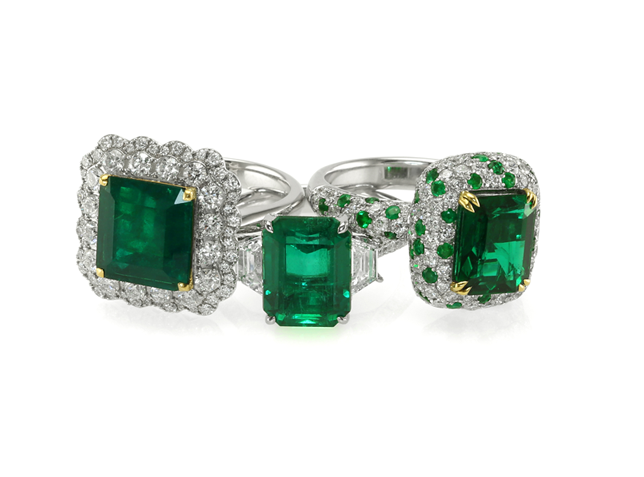 Another ancient source of emeralds was located in Austria and mined by the Romans. The Austrian emerald mines were worked sporadically through World War I, but are no longer commercially viable. Mad’ûdi, an Arab author of the 10th century, tells of an odd belief that the Mount Zabarah emeralds (of Egypt) were found in quantities depending on the seasons, prevailing wind direction, and other atmospheric conditions, and that the intensity of their color changed with phases of the moon. Needless to say, we now know a lot more about the whys and wheres of emerald geology. 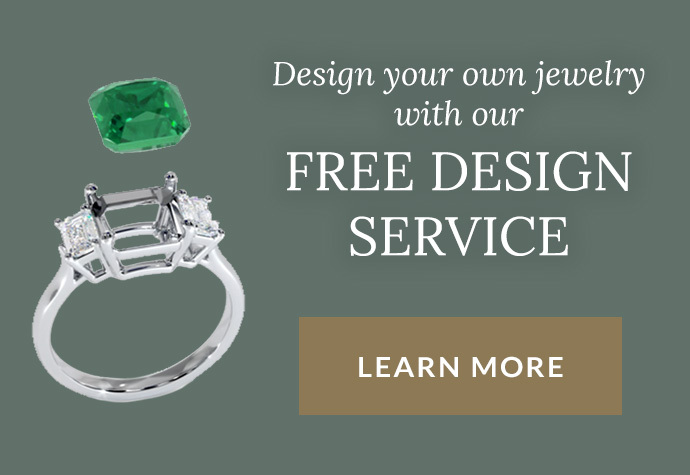 When emeralds are associated with solid host rock they are thought of as primary deposits . 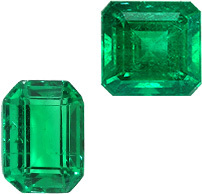 Emeralds found a distance away from their source in river gravels and streambeds are called secondary deposits . 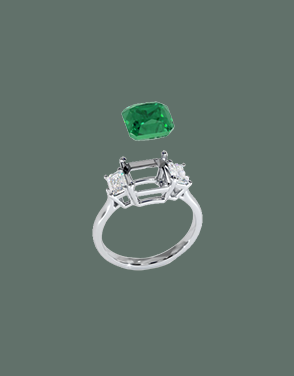 Historically, the overwhelming majority of emeralds have been mined from primary sources. For much of their productive life, the Sikait and Zabara mines of ancient Egypt were worked by slaves, convicts, and prisoners-of-war. Life at the mines was harsh due to drought and climactic extremes, which included bone-chilling night winds and daytime temperatures upwards of 61º C.
A map showing the location of trapiche emerald mining in Colombia. Although most of the mine entrances have been closed, mining tunnels extend up to 240 meters (800 feet) into the hills. Since wood was in short supply, stone pillars were used to shore up the tunnels, which were occasionally so small a human could barely move along them. Once a rich concentration of emerald was located, the tunnels became large chambers capable of accommodating many miners at once. In Colombia, mining techniques have changed little over the centuries. 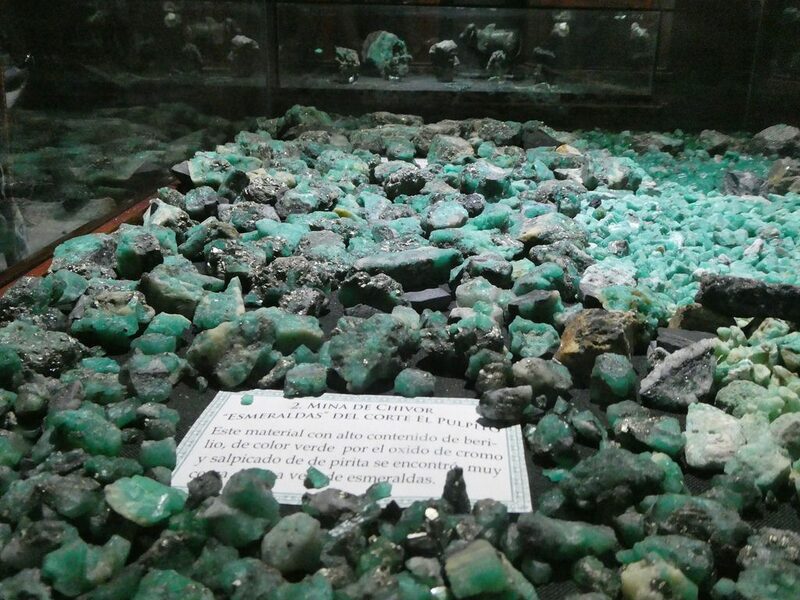 Emerald deposits are frequently mined by strip mining a series of terraces, a technique that has been used since before the arrival of the Spanish conquistadors in the 16th century. The Spaniards also attempted to drive tunnels into the host rock to retrieve emerald crystals, a technique that was revived at Chivor in the 1960s. A fine piece of natural and untreated emerald crystal. According to Keller (1990), when mine terraces are worked with strip mining methods, soft rock is removed by either hand tools or else scraped by a bulldozer. The use of dynamite is not unknown, despite the fragility of emerald crystals. Emeralds deposits are easy to spot as they are found in white calcite veins running through soft black shale. The workers surround the bulldozers watching for the telltale white streak of a calcite vein. Once one is spotted, they lunge at the spot and remove emerald crystals with small picks. 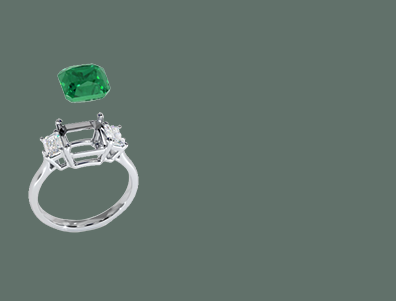 When emeralds are found, they are collected in bags and later sorted. Material that has been sorted is flown to Bogotá for grading and marketing. Little attention is given to the tons of overburden and other refuse scraped from the terraces. This material is bulldozed over hillsides toward a throng of several thousand guaqueros, independent treasure seekers who skirt the mining camps, jam the streambeds, and rummage through the black shale looking for emeralds. A newly discovered, translucent emerald from a mine in Brazil. Life at the Colombian emerald mines is reminiscent of the American Wild West. Although miners are paid very little, many remain on the job because one day a month they are allowed to pocket any emeralds they find, a practice called “picando.” Illicit mining, alcohol-fueled fights, gem heists, prostitutes, and an atmosphere of desperation haunt the camps where guards armed with rifles patrol the perimeter. Transportation to and from the mines is done by helicopter since the area is full of smugglers and armed guerrillas. In recent years, the Colombian government has become concerned with the ecology of the Muzo and Chivor mining areas and underground mining is replacing strip mining on the mountainsides. 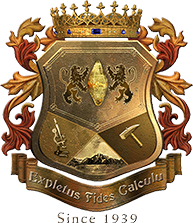 Unfortunately, the short duration of the mining concessions does not encourage lessees to develop mining techniques that could conserve the environment. As we begin our discussion of specific regions, possibly the most famous is our first stop with Emerald Mines in Colombia.